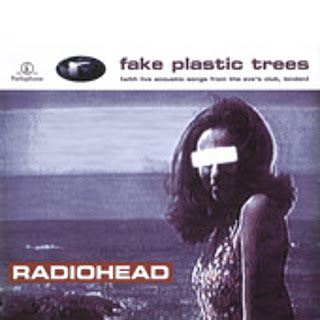 Listening to Radiohead's "The Bends" record, and to the "Fake Plastic Trees" song in particular, takes me back to 1995, when I was attending a large public university. Music certainly has the ability to take us back to the past in a powerful Proustian rush. Of course, like most, I had come to know Radiohead several years before with the release of Pablo Honey, which featured the single "Creep," the song with crashing and crunching guitar. But at that time, most people assumed that Radiohead was simply destined to be an alternative one hit wonder. With the release of 1997's OK Computer, I officially rediscovered the band and was hooked. With that album, Radiohead became RADIOHEAD (bold, underlined, starred, et cetera). But before all of that, there was "Fake Plastic Trees." 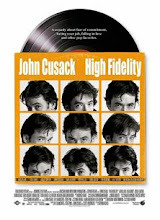 Its slow and perfect wistfulness really does bring me back to the mid-1990s, although unlike some songs, I don't associate it with a particular person or event. I do know, however, that I have listened to the compact disc so many times that I had to purchase it again because my original was scratched to hell from repeated use. How many records besides The White Album can you say that about? In sum, this is the perfect rock ballad. (Should I say power ballad, or is that song forever associated with the despicable likes of Poison and Warrant, who appropriated the term for their own nefarious and talentless purposes? And I have condemned myself to rock critic hell for mentioning Poison and Warrant in the same paragraph as Radiohead, by far the best band of the 1990s?) Regardless, the song begins with light, acoustic guitar accompaniment, and with each succeeding verse, more instrumentation is added, until finally, we hear a symphonic arrangement of electric guitar as the song reaches its ultimate crescendo. All of this, led by lead singer Thom Yorke's hauntingly melancholy voice, and you have a recipe for one of the better singles released at that time. Really, were there any worthy competitors in 1995? Oh, and if you haven't heard the acoustic version of this song (which appeared on the soundtrack for the film, Clueless, of all places), then you're missing out. That soundtrack also includes a swell cover of Mott the Hoople's "All The Young Dudes" done by World Party.